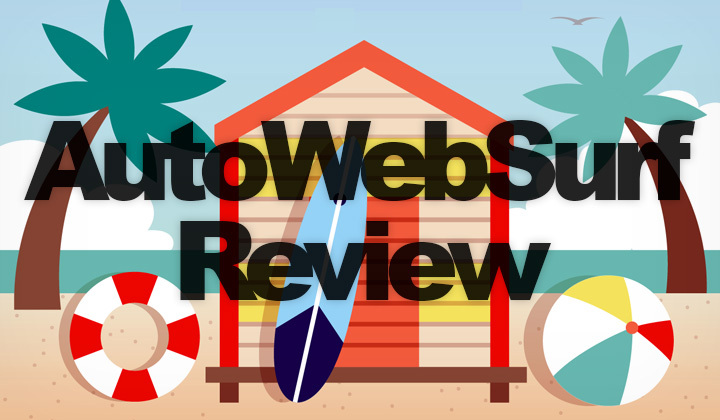 In this review I had a go at “Auto Web Surf”, an auto hits and traffic exchange service located at AutoWebSurf.com to see how they compare against competition. If you need an alternative I suggest HitLeap. The AutoWebSurf system is old and outdated, it’s rates are no longer competitive. HitLeap has a bigger user base, it’s modern, cheaper and can be used for free. But don’t get me wrong, “Auto Web Surf” definitely has it’s good sides, and I’ve seen traffic exchange programs that are worse. And they are fairly popular. Choose for your self however, here are the good and bad..! While there is lots of good potential, obviously the system just hasn’t been developed far enough for it to be worth it’s time for most people. Fact that your machine plays YouTube videos at random without a mute button is enough of a turn-down IMHO. Plus the lack of features and expensive rates. I noticed that because traffic is expensive, a lot of people set the view time setting to 10seconds to save costs. In this way, most hits won’t land on your site. I suggest a setting of at least 30seconds for a realistic traffic/price ratio. 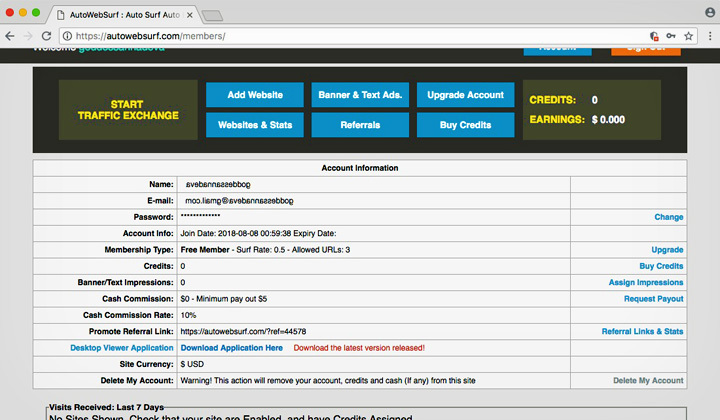 For small sites, AutoWebSurf could work as there’s no need to collect that many credits which is painfully slow anyway. With bigger demands, I would look at alternatives. For a solution for each and every point on that negative list, you need a feature rich, modern system that can also be realistically used for free. Right now HitLeap is probably the best alternative out there. Besides cost and features, one of the most important factors is the amount of users because you will want your traffic to be unique, coming from different IPs. And for that, HitLeap will deliver as it’s one of if not the most popular traffic exchange system today. And that’s the end of my review. What do you think of AutoWebSurf? Comments, questions please! It would be great if you can share your experience below. Please note, that these reviews of auto surf and other traffic systems, as well as other posts can contain affiliate links. This supports my work trying to put out useful content to my dear readership. Thanks very much for having a read! Tim.